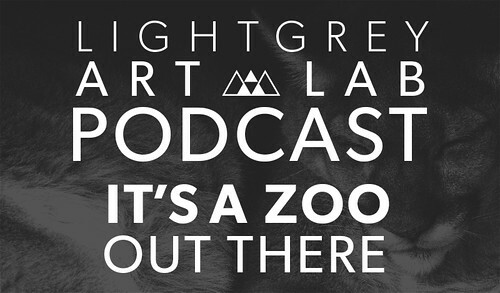 Synopsis: On this week's podcast, we talk to two people who are intimately involved with animals in zoos. First up is Dr. Michael Petersen, a veterinarian who has been practicing medicine for nearly 35 years. Mike not only owns his own practice, but also oversees the care of exotic animals Henry Vilas Zoo in Madison, WI. We talk about how he got into such a unique position, what it's like to work with such amazing creatures, and the passion and collaboration of everyone involved. Next we talk to Anne, who is a volunteer docent at the Kansas City Zoo in Kansas City, MO. Anne acts as the bridge between the zoo and the public working around incredible animals and sharing her knowledge with visitors of the zoo. We talk with Anne about her experience learning, teaching, and the behind the scenes duties she deals with while working in a zoo setting. 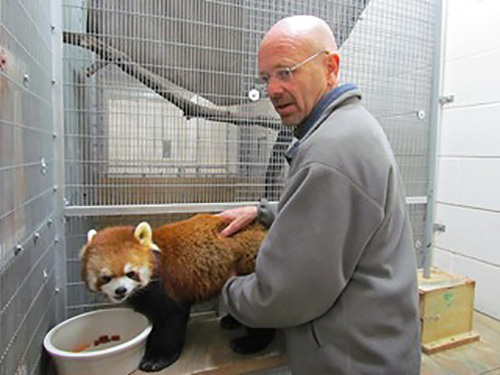 Dr. Michael Petersen and a red panda.